Please join us for an evening of good food, good people, and good conversation, all for a good cause! Supporting your community's youth! 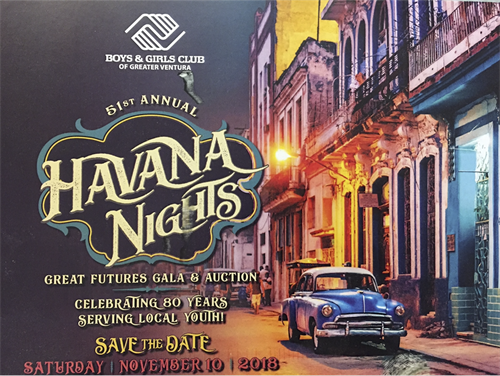 With a cocktail reception of Champagne, Hors d'oeuvres and a spectacular Silent Auction, you'll be in for a great time before heading into the ballroom where even more fun will be had! Fine dining, hearing from this year's honorees, and bidding on the all-exciting Live Auction. RSVP by October 29th or reach Denise by email at denisec@bgclubventura.org or call us at 805-641-5585.